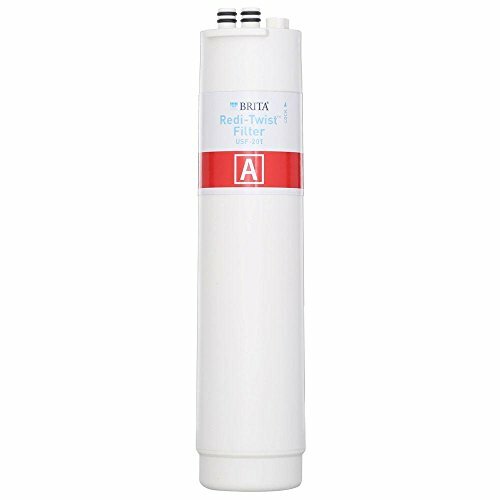 The Brita Redi-Twist Undersink Replacement Filter reduces Aesthetic Chlorine and Particulates to improve the taste and quality of your incoming tap water. This filter is certified for Sediment Reduction. The Carbon Block component improves water clarity for ready access to cleaner drinking water. Easy filter replacement requires only a 1/4 turn twist to remove or replace filter. If you have any questions about this product by .Brita Redi-Twist., contact us by completing and submitting the form below. If you are looking for a specif part number, please include it with your message.